Located on the southernmost tip of Chile in Antarctic waters, salmon producer Nova Austral has successfully achieved 100% ASC certification for the farms from which it sources its ‘Sixty South’ premium brand salmon. They can now provide certified responsibly sourced products to customers 52 weeks of the year. “We are very happy about Nova Austral’s decision to commit to the level of transparency and performance metrics required of ASC certification, and we hope many other aquaculture operators follow suit,” said Marcos Moya, ASC Commercial Outreach Manager. Nova Austral’s farms are some of the most remote ASC certified farms in the world. While farming within the secluded and hyperboreal waters of Antarctica comes with its challenges, remote fish farms can also provide important opportunities to the communities in which they operate. Beyond environmental requirements, ASC’s standards include social requirements such as providing good working conditions and fair pay, being conscientious neighbours, and working with respect for local communities. With its ASC certifications, Nova Austral demonstrates the positive social impact that can be achieved through the support of the Porvenir community where their processing plant is located. Not only is Nova Austral the largest employer in the region, it also invests in local education and infrastructure programmes. “One of our most recent initiatives is a cooperation with the local schools in Porvenir, in collaboration with the US Embassy, where English teachers provide education for the young generations in the local community,” explains Nicos Nicolaides. 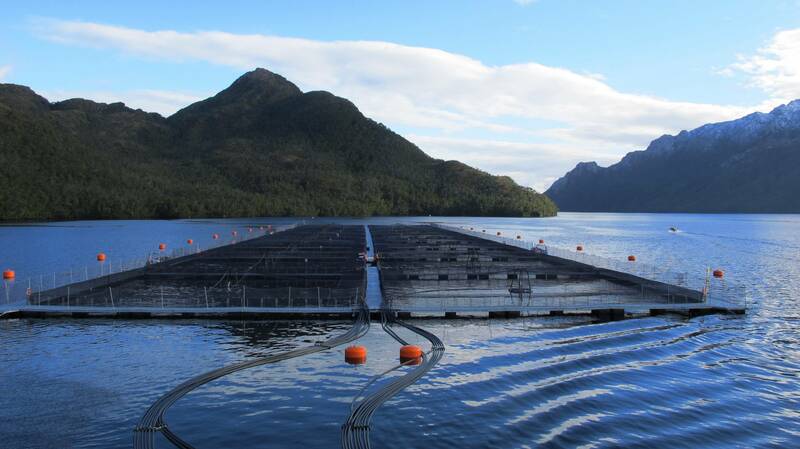 The ASC programme is so widespread that certified farms can be found on six continents, and is continuing to grow – with over 275 salmon farms around the world producing over 940,000 tonnes, and a further 73 farms in assessment. The robust nature of ASC’s salmon standard was recently recognised by the Global Sustainable Seafood Initiative (GSSI), a seafood certification industry benchmark. ASC’s standard has received more components of the benchmark than any other certification scheme.